In February 2013, I decided to build something not-so-typical of a 40-something mom with a full-time job. I realized that I needed a hands-on, challenging project to gain self-confidence, and something that I could use for years to come. 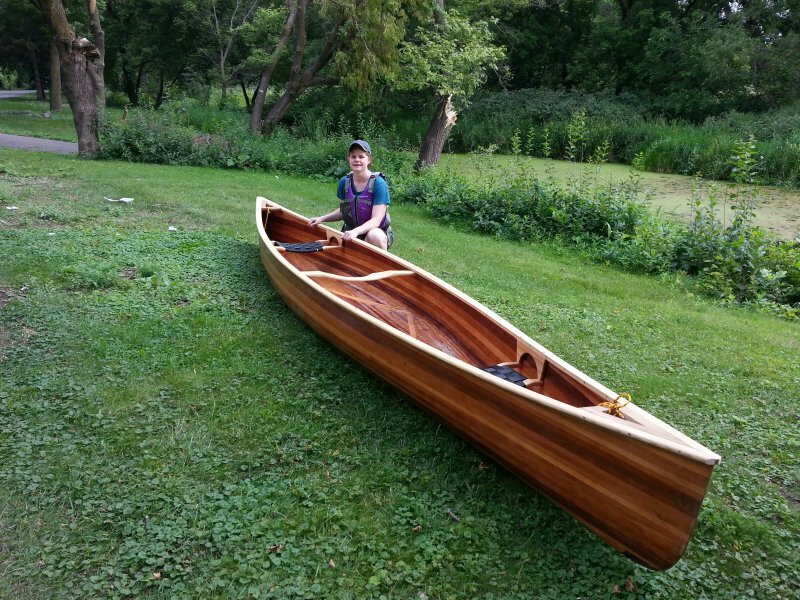 With support of Dennis at NorthWest Canoe in St. Paul, Minn., much research, and an understanding husband and kids, I started building the Northwest Cruiser May 1 and launched it today, my 43rd birthday, on August 11, 2013.